We have had a beautiful spring but high heat and summer weather has arrived. 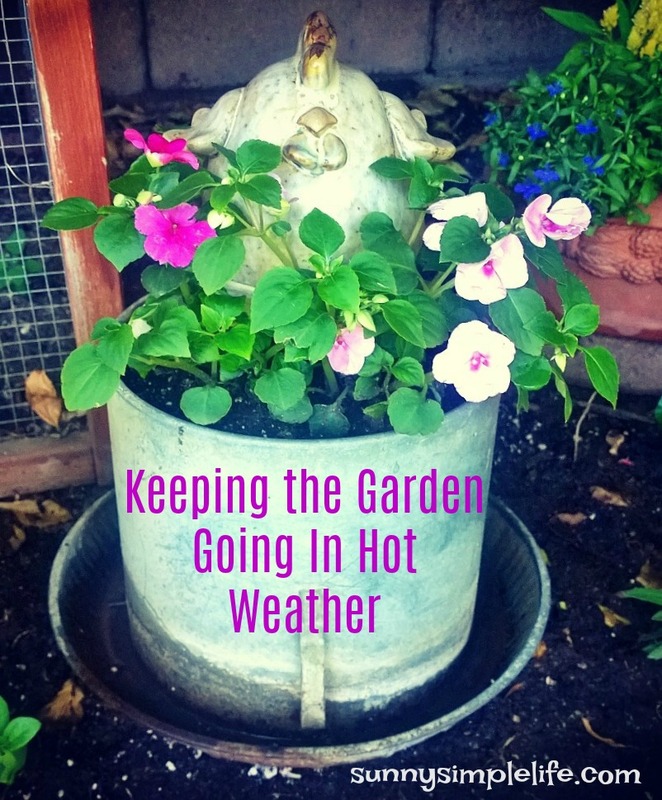 Keeping the garden alive in hot temperatures is always a struggle. Enjoy the last spring garden tour below and while you are there, follow us on Youtube. Plant plants that are for summer growing season. Things like pansies are going to fade quick in hot weather so I go around and pull spring plants as the hot weather arrives. If you don't get rain, water daily if needed. Set sprinklers to run in morning hours before evaporation takes place. For containers, I water in the morning and in very hot weather, I may give them an afternoon or evening drink as well. Move containers to more shade for heat waves if they are easily moved. Mulch deeply. A two in layer of mulch can lower the surface temperature over 20 degrees and keeps moisture in the ground.